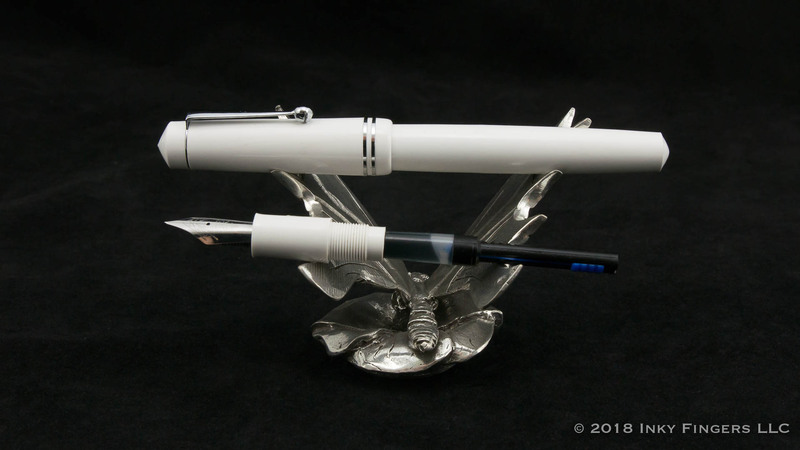 I recently had a chance to review one of the newer models (the Himalaya) from value fountain pen retailer Fountain Pen Revolution. It was a pen that utilized one of the company’s inexpensive steel flex nib and was made out of bright orange swirly acrylic. 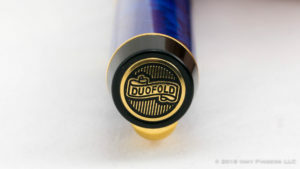 In this review, I get a chance to take a look at an even more inexpensive pen in the FPR lineup, the solid-color Darjeeling. 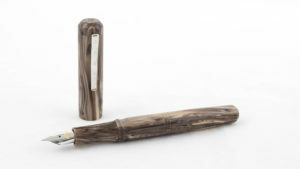 The FPR Darjeeling is an extremely affordable pen, ranging in price between $15 and $19, depending on the nib option selected. 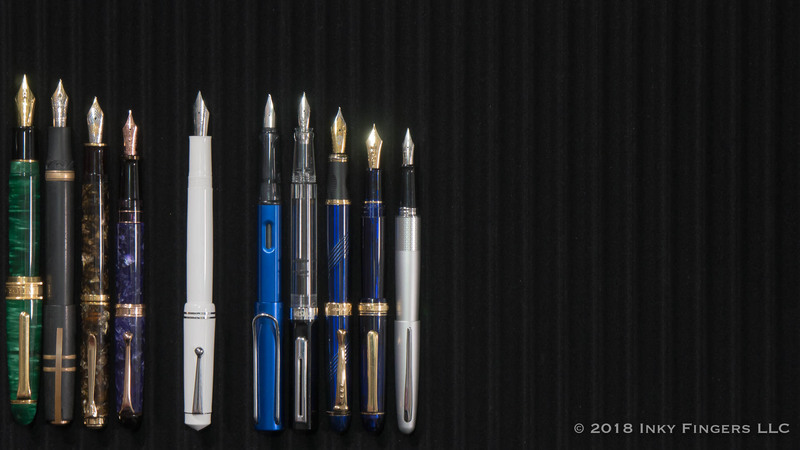 The pen comes in eight solid, opaque colors and one clear demonstrator version. 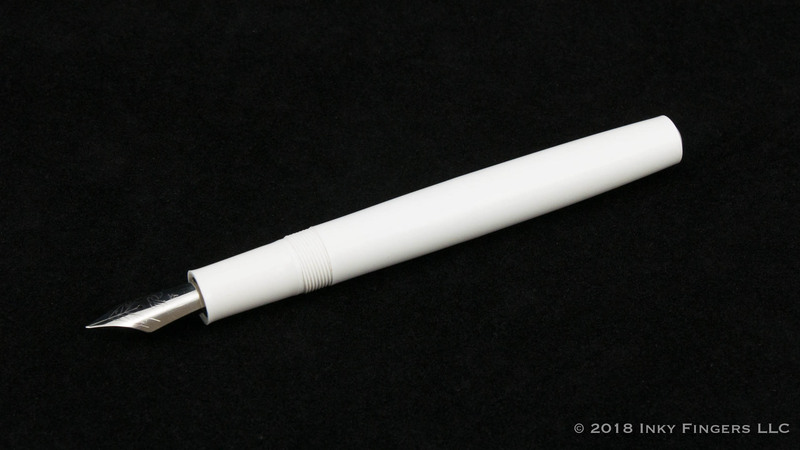 The pen features a #6 nib in EF, F, M, B, 1.0mm Stub, and Flex, and can be used with a standard international converter or cartridge, or can be eyedroppered. 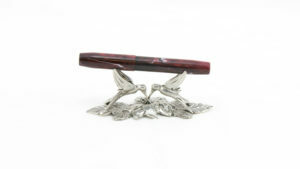 The design of the pen harkens back to the very classical designs from the early days of fountain pens. 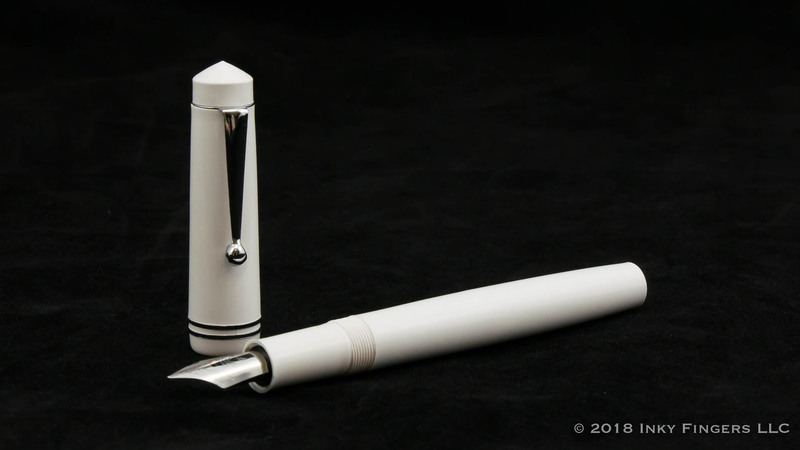 It reminds me a lot of vintage Parker Duofolds, particularly the orange version with the black finial. The cap’s finial holds on a springy triangular clip with a metal ball (an extremely classic design) and features two metal cap rings toward the lip of the cap. My one minor complaint with the manufacturing quality of the pen is that these rings are not flush with the pen cap, and feel kind of loose. 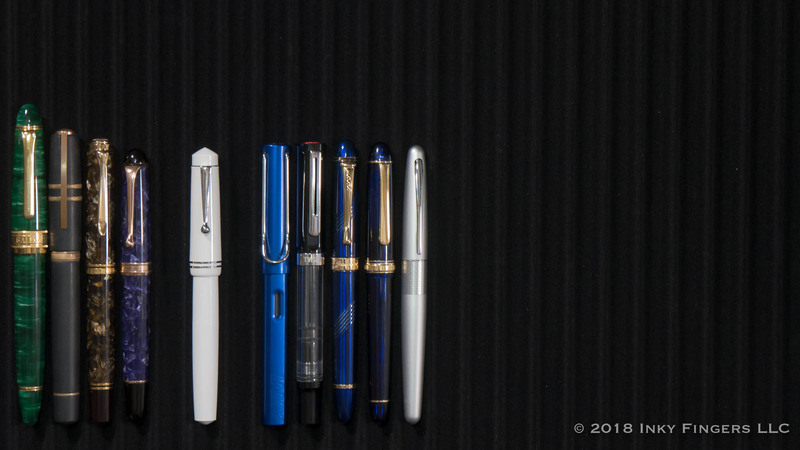 The rest of the pen is relatively nondescript but well-manufactured. 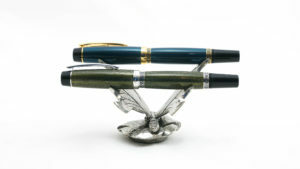 The barrel of the pen is made from a single piece of acrylic and comes to a slightly pointed end. 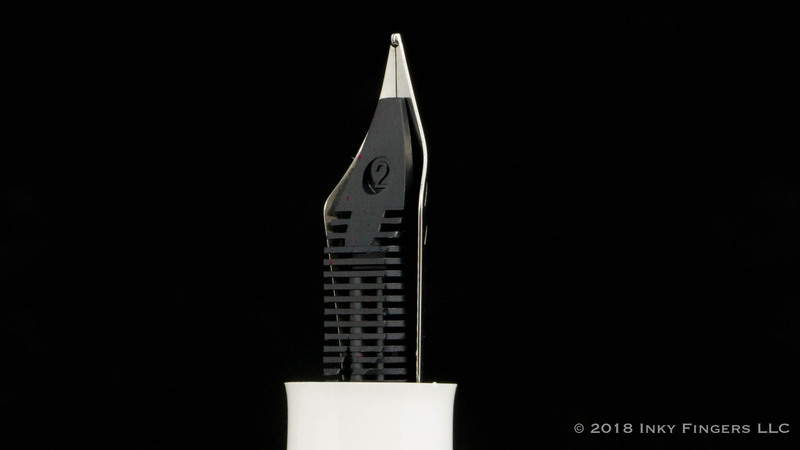 The section has a bit of concavity to it, then flares out a bit toward the nib. It takes two full turns of the cap to remove it from the barrel, and threads between the section and the barrel are long, tight, and smooth, making it an excellent candidate for eyedropperability. (I know that’s not a real word but it sounds like it should be, right?). 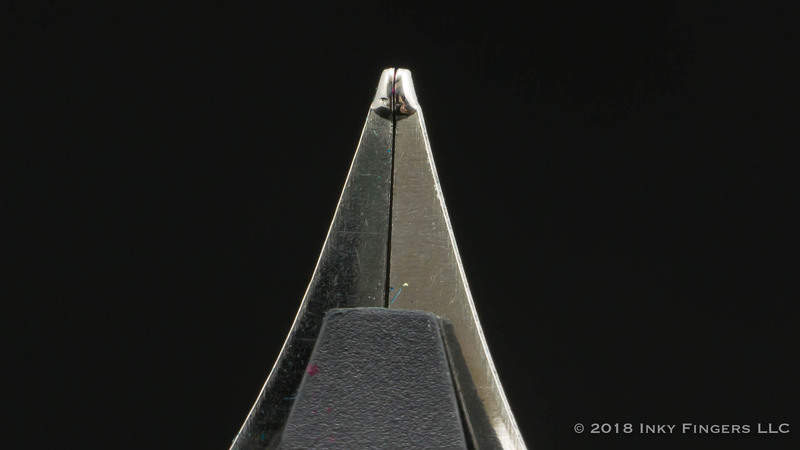 The pen’s #6 nib unit is slightly inset into the section, give the nib a slightly stubby appearance. 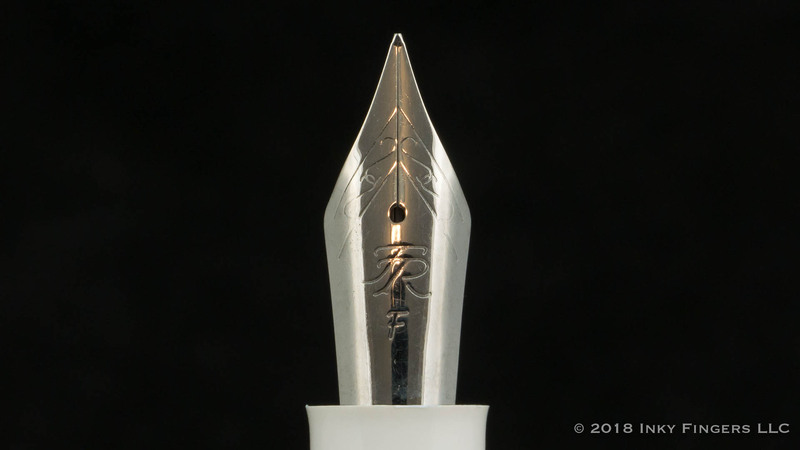 It’s a pretty standard steel nib, with the FPR branding stamped into the face along with the nib gauge designation. The pen came with a fine nib, and it is slightly finer in line width than most western fine nibs I’ve used…but not by very much. 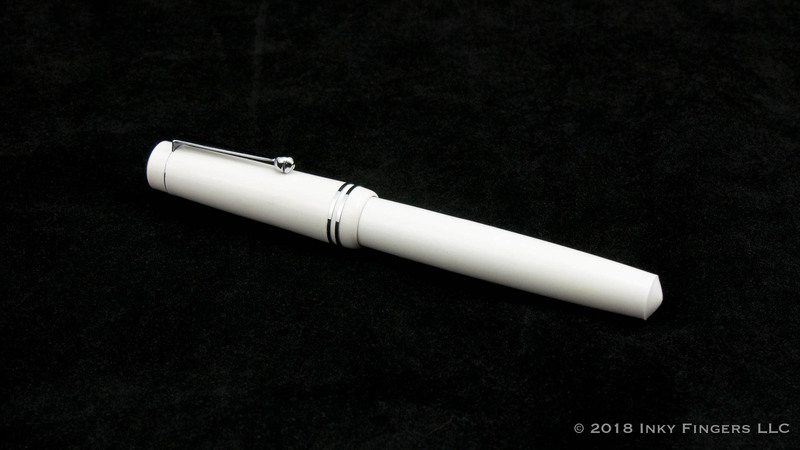 Unlike some of the other FPR pens, this one uses a plastic feed instead of an ebonite feed. As a writer, this one is pretty good. It’s got a nice, moderate, and consistent ink flow. The fine point has some feedback to it, but not enough to be distracting except perhaps on the most highly-textured of paper. 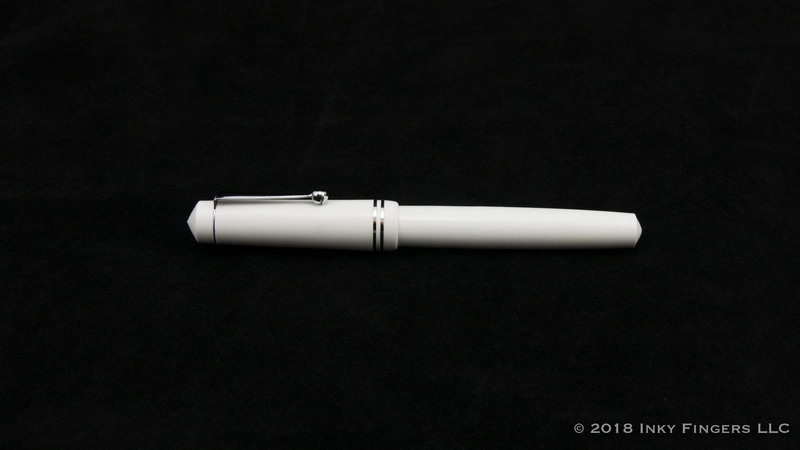 The pen is larger than the previously reviewed Himalaya, and extremely lightweight a pen of its size. I found it comfortable to hold in the hand. When posted, it tends to feel a bit long and unwieldy, but it’s long enough that I didn’t need to post it to use the pen comfortably. The pen does come with a slide-type converter which, as I’ve discussed before, is not my favorite thing in the world. But it is a standard international converter, and can be replaced with other alternatives. Overall, this is a nice little pen for $15. 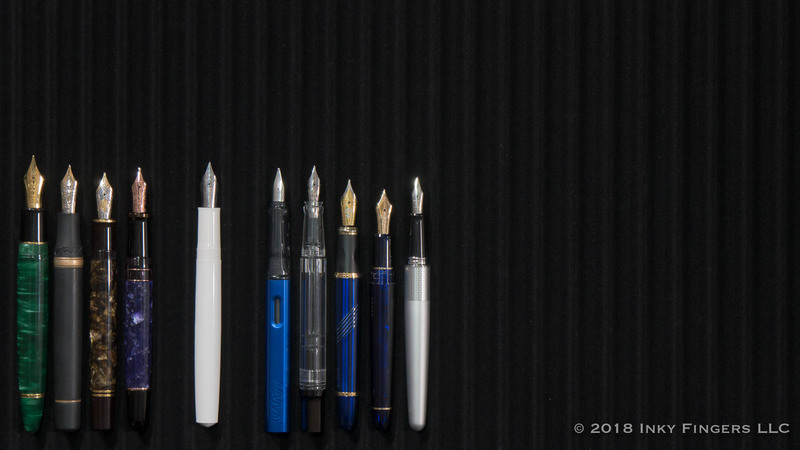 You’re not necessarily going to get the mass-produced feel that you might from the similarly-priced Pilot Metropolitan, but the pens larger size and non-metal materials give it a much more comfortable feel in my hand than its distant Japanese cousin. 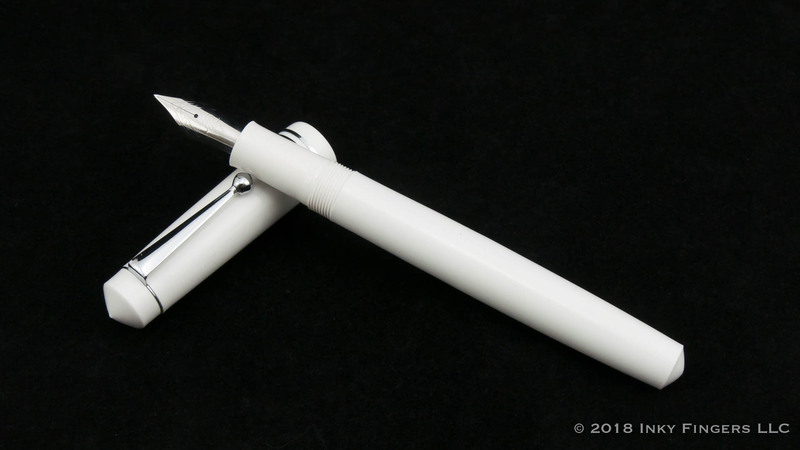 It behaved well, is pretty robust, and is a nice alternative for someone looking to get an inexpensive pen that they can be comfortable playing around with. 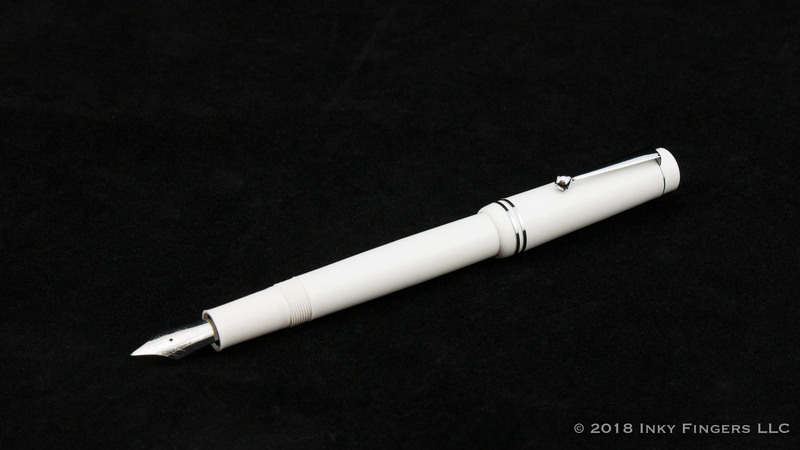 And with really affordable replacement nibs, this is a marvelous pen on which to practice your nib adjustment skills. This pen was provided free of charge by Fountain Pen Revolution in exchange for an honest review and giveaway. No additional compensation was provided. All opinions expressed herein are my own.